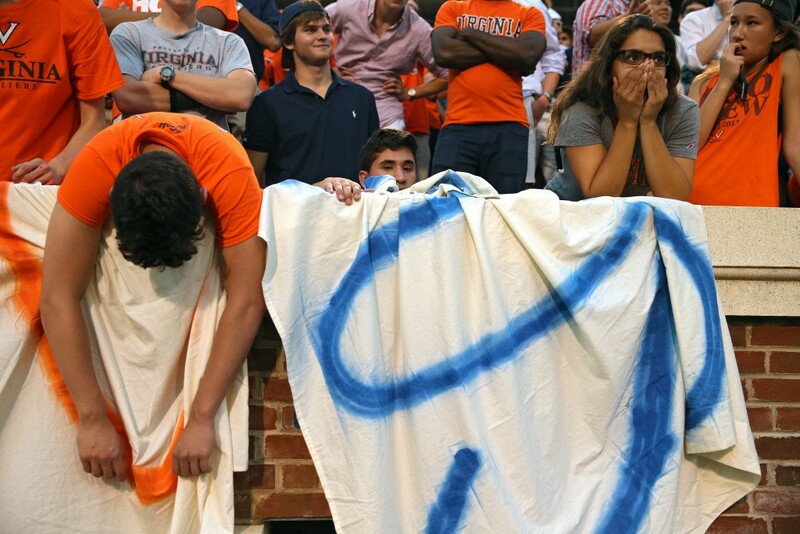 Notre Dame walked out of Scott Stadium bruised, battered, and victorious after a 34-27 win over Virginia. 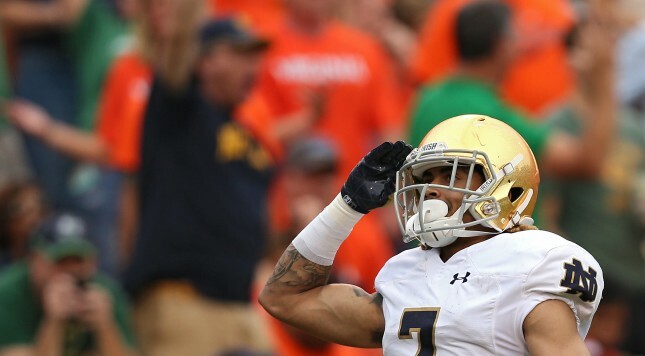 The Irish were ripped back down to earth by an inspired Cavalier football team, after the Irish had a week of high hopes infused with a confidence that we haven’t seen in South Bend in quite some time. Once again, Notre Dame made a mediocre offense look like a well-oiled machine and a household name out of a quarterback not wearing a golden dome. Matt Johns could do no harm as he threw what looked to be one wounded duck after another up in the air- all the while the passes all seemingly came down in the hands of Virginia wide receiver Canaan Severin. While this was happening, the Notre Dame offense was moving the ball effectively- except on third and short. CJ Prosise averaged over 9 yards a carry, but when it came to third and short, the Irish kept falling short to the tune of 0-10 on third down conversions. After a quick and dominating 12-0 start, Notre Dame slowly and methodically lost control and Virginia hung around and hung around until disaster struck the Irish near the end of the third quarter in the form of the broken ankle of Malik Zaire. Notre Dame was still able to score a touchdown right away from CJ Prosise on a 24 yard run and go back to a 12 point lead- but the damage was done. 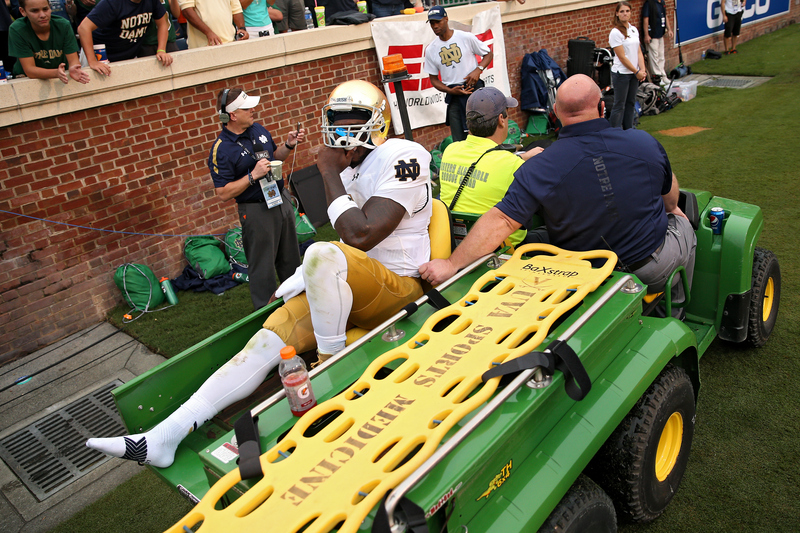 Notre Dame struggled to gain its composure on both sides of the ball as it had full realization that Zaire’s injury was of the most serious nature. Once the Irish came out of the fog, they found themselves down 27-26 with 1:54 left on the clock and sitting on their own 20 yard line. All backup quarterback DeShone Kizer did was go 5-7 for 76 yards including the game winning 39 yard strike to Will Fuller to take the lead and essentially win the game. It was a comeback drive on the road reserved for legend, and we all saw it unfold with tears of saddness mixed with tears of joy. Notre Dame saved its season and saved some face for the moment, and you don’t have to look into the distant past to remember that these types of things have happened before and Notre Dame has overcome to remain triumphant. The question is, can they keep doing it for 10 plus games. Don’t blink- hell, don’t breathe. This season may have more in store for us yet.